but when you lose a child, you lose part of your future"
I have often heard it said that as long as you remember your loved one, they will never die. I would like this page to be a place where anyone that knew and loved my son, Jeff, can learn more about him and his much too short life. Jeff was born in a hospital in Flushing, New York. As large a baby as he was, 8 lbs 11 oz, the birth was easy. When he was born I looked at this baby as a miracle, first I had ever experienced. I thought, "how can anyone ever doubt that there is a God when it is possible to create a child like this." He was perfect in every way. He was big boned so we all knew Jeff would grow up to be a big man. We lived in New York the first seven years of Jeff's life and then moved to Fort Lauderdale, Florida along with our two younger daughters, Linda and Wendy. 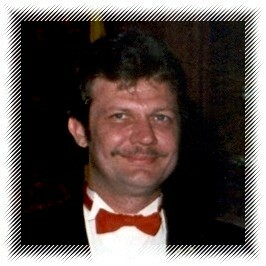 Jeff was always sick during the winter months suffering from Asthmatic Bronchitis and always on the verge of Pneumonia. The doctor said if he was his child, he would move to a warmer climate....and that is why we decided to move to Florida. Strange, but after we made our move, Jeff never had any problems in that area all the years of growing up in Fort Lauderdale. Jeff's high school years were uncomplicated. He did not seem to have problems passing all his subjects. He studied when he needed to take a test but never completely gave his all. He was always a loner in school and never really had any close friends to speak of. One night I received a call from one of his teachers to express her concern that Jeff kept to himself all the time. She thought this was a problem. I asked Jeff about why he never mingled with the other students and his answer was plain and simple, "Mom, I have two choices -- either hang out with the other kids and do drugs or stay away from them and stay clean". I was kind of proud when he told me that. I guess I was pretty lucky that he made the right choice. After graduation he told his father and me that he wanted to join the Navy. We were struggling financially so both my husband and myself thought this would be the best way for Jeff to further his education so we gave him our blessing and off he went. He had just passed his 18th birthday. Jeff did continue his education with all the options the Navy gave him and he was able to learn a good trade of Electronics. Jeff traveled quite a bit during those years, an opportunity he probably would not have had if it wasn't that he joined the Navy. What is that saying "Join the Navy, and see the world, and what do you see, you see the sea". That wasn't true in Jeff's case. He was on the U.S.S. America and then the U.S.S. Blue Ridge. He went to the Mediterranean while on the U.S.S. America and was able to visit many of the countries in Europe, and then to Japan on the U.S.S. Blue Ridge. Scotland was his last base on land, which was a great experience for him too. Although Jeff did not like the discipline of being in the Navy, he had to admit, he loved the traveling. Jeff looked so great in his uniform, but then again Mom always thought he looked good in anything. I guess I had a little problem cutting the apron strings and realizing that my son was now a man. I remember one incident in particular, that makes me laugh now thinking about it. Jeff was home on leave and was sitting at the dining room table drinking a cup of coffee. He had his whites on and as he lifted the cup to take a sip, I popped in with, "Jeff, be careful, you are going to spill coffee on your uniform", Jeff just smiled and said, "Mom, would you believe that my Commanding Officer has never said, Jeff, be careful, you are going to spill coffee on your uniform?" I guess that was the day I decided to back off a little. When Jeff finished his second hitch in the Navy, he came home and tried working the restaurant business. He had developed three very bad habits during his time in the service, which were smoking, drinking and coffee. I was concerned about how all these habits could affect his future life but I knew Jeff was a big boy and would have to make his own decisions. Being in the restaurant business didn't help him to give up the cigarettes or the drinking. It wasn't long before he realized that this was not what he wanted to do with his life which is why he decided to make an effort to go back to school. He looked into many colleges and decided he would make a geographic move and then maybe things would get better for him. He enrolled in the University of Alaska in Juneau, Alaska. It was not even 2 months later, September 1986, that he had to make a trip back to Fort Lauderdale because his father had only days to live. He was diagnosed with cancer that started in his lung and spread throughout his body. By the time we knew it, it was already in his liver. When Jeff left for Alaska, we did not know how sick his father was. We will never know why he kept it to himself all those years, possibly to spare us the pain. He must have made a conscious decision to not try to save himself, but that we will never know either. Jeff flew into Fort Lauderdale and would not leave his father's side. He was with him when he took his last breath that night. We had a funeral service and then had his cremated remains buried in the Veterans Cemetery up in Bay Pines, Florida which is near St. Petersburg. Funny how people think, and Jeff was no exception. His father died because he smoked cigarettes but it had little or no effect on Jeff convincing him to quit smoking. I think that maybe people that continue to smoke think it won't happen to them. After Jeff helped me go through his father's boxes of papers and books, he headed back to Juneau to resume school. We packed all of my husband's art books, and there were many, and donated them to the University of Alaska for their new library. This made Jeff feel very proud that he could do this and the college was very happy to get this addition to their much needed supply of books. I think my former husband would have been very happy to know that other people would get some use out of his books. Jeff just stayed in college long enough to earn enough credits for his AA degree. It was right after that he met Liz who later became his wife. Liz has many relatives in both Anchorage, Alaska and Barrow, Alaska so when Jeff had a job opportunity to use what he had learned in the service, he accepted a job with the North Slope School District up in Barrow, Alaska. Liz joined Jeff and they lived there for the next ten years. It was up in Barrow that they became man and wife. Liz had three children from a previous marriage so now Jeff became a responsible step father to Chad, Orin and Jaeleen. It certainly was a different life for Jeff. He loved the people up there and made some very good friends. This too is where his loyal dog, Alice, came into his life. Jeff felt a real responsibility to Alice too and vowed she would go where ever he went. Jeff was forever getting Chronic Bronchitis between the cold weather and his constant smoking. This too is where his health started to deteriorate. He was always going to the doctor for test but the verdict was always the same. They saw nothing and blamed his breathing problems on anxiety attacks and a Hiatal Hernia. He accepted what they said and began taking prescription drugs on a regular basis.